A few days back we reported on Facebook rolling in the brand new feature known as Project Titan, which was tagged as the future of communication and Facebook’s own messaging system. Obviously, things can not always be on the correct side as tech analysts warned of security implications. We just got to know that a Facebook bug has emerged which has deactivated a number of accounts on the social networking site. 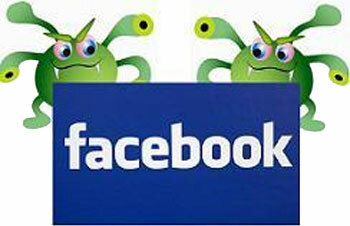 Facebook confirms that the bug which went live today was designed to locate and disable accounts that seem fake. The Dev Team is on the run as the network faces a major problem on user accounts. The social network asked users to be patient while they fix the issue and get those disabled accounts running.Affected users made use of Twitter, complaining about the deactivation. Please upload a government-issued ID to this report and make sure that your full name, date of birth, and photo are clear. You should also black out any personal information that is not needed to verify your identity (e.g., social security number). If you do not have access to a scanner, a digital image of your photo ID will be accepted as well. Rest assured that we will permanently delete your ID from our servers once we have used it to verify the authenticity of your account. While there was no official word from Facebook about the authentication of the above message, users have been advised to be careful while revealing personal information. Earlier today, we discovered a bug in a system designed to detect and disable likely fake accounts. The bug, which was live for a short period of time, caused a very small percentage of Facebook accounts to be mistakenly disabled. Upon discovering the bug, we immediately worked to resolve it. It’s now been fixed, and we’re in the process of reactivating and notifying the people who were affected.